+ Loft: 40% of at least 6 times for the year. About twice they do 50%. And with Free Shipping as well. + Nordstrom. My absolute favourite but can be quite pricy (especially with the Canadian exchange) I keep on checking their site (especially for trend sales) and other blogs like PTMT to find out about sale items. Their anniversary sale in July is where I do the most damage but their stuff seriously lasts and lasts and lasts. + Macy's- so makes sense to get their store card and store rewards. Coupled with sales, it's like they're paying you. + Gap, Old Navy & Banana Republic- 40, 30 and 50% off respectively. Even more for the first two. + Gymboree-- $12.99 and under, 50% and gymbucks. Yes, please. + Children's Place- not a fan of their clothes' quality but their capris and tights are great and there is ALWAYS a coupon to use. + Bed, Bath and Beyond. I rarely buy anything here but when I do, I use every single 20 % coupon I have. Even the expired ones can work. + Bath & Body Works. Who here waits for their sales before buying anything? Especially their awesome three wick candles!? If ever there is a famine, I might have to eat my candles. We've got that many. They make terrific hostess gifts as well. + Pottery Barn Kids- Love their bedding and accessories but I'm always on the look out for free shipping or a discount code. - Sign up for emails- obv. Keep in the loop people. - Google 'name of store coupons'. I've found quite a few coupons this way. - If you're store shopping (which I rarely do anymore)- fiddle with your phone and ask if they have a discount on right now. It's worked for me before. Seriously! And in case you'd like to meet the most intense window shopper of anyone ever…. What about you? Where do you never shop without a sale? Any others to add to this list. Any tips/tricks? I love a sale too! 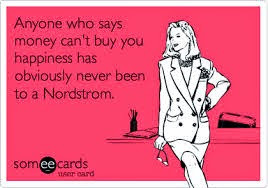 Especially the Nordstrom anniversary sale. Another good one is the Black Friday sale at Tea Collection online when all dresses are around $17. Oh, I love Tea Collection. Will definitely have to remember that sale! I think if you saw my "candle shelf" you would be shocked. Its actually its own 3 door shelf built into my entertainment center. I scored big around Christmas I ended up getting the 3-wickers for $5.00 each. SO I bought 20. Whoops. Not to mention any of the others that I already have. Ha ha ha! the bath & body works one is SO ON POINT. their 3-wick candles!!! "luckily" there's an outlet near me so i get to spend all my money at the outlet! I love Amazon!! We use it for almost everything!!! 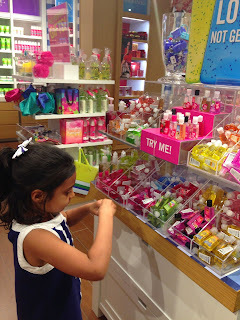 I don't shop at too much of the other stores, but I do love bath and body works. Yes!!! I seriously LOVE when Loft is 40% off - love that it seems to happen more frequently now too! Of course like everyone else, I love a good sale! 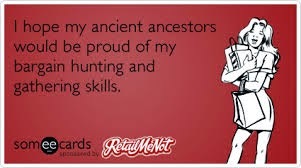 Lately, I've been trying to be very careful though and not just buy stuff cause it's on sale and make sure to still pick up some awesome finds. Nordstrom has definitely become one place I turn to for quality products. Thanks for the heads up on the sale... I'll definitely be on the lookout! You are a woman/shopper after my own heart! I just won't pay full price for anything either! And yes, sign up for the emails, there is always a discount. Thanks for sharing, there are some deals here that I didn't know about! Noo! Don't tell me this! lol! I have a problem with shopping! Haha! No good deals are too good to turn down! A girl after my own heart - I never buy full price!! My two go-to's for myself are Loft and Old Navy, they always have the best deals. Full price is for fool.... bahaha get it full, fool. Oh my gosh I can't believe I just did that. I am a HUGE fan of thos $10 off $25 JCP/Kohls coupons and I do like that Childrens Place often has free shipping clearance and at least an extra 20% off. My secret is choosing what I love and wants really badly and wait patiently, as soon as it go on sale , I rush and buy it as the my size goes quickly, I also really enjoy buying clothes for my grandkids but at times I love what I see, cannot wait for the sale, especially in the Disney store.